I was interviewed by CNN.com and I really spoke from my heart about the wonderful new Yemen and its tribes. Tribes amazed me with their decent and civilized attitude towards the revolution. 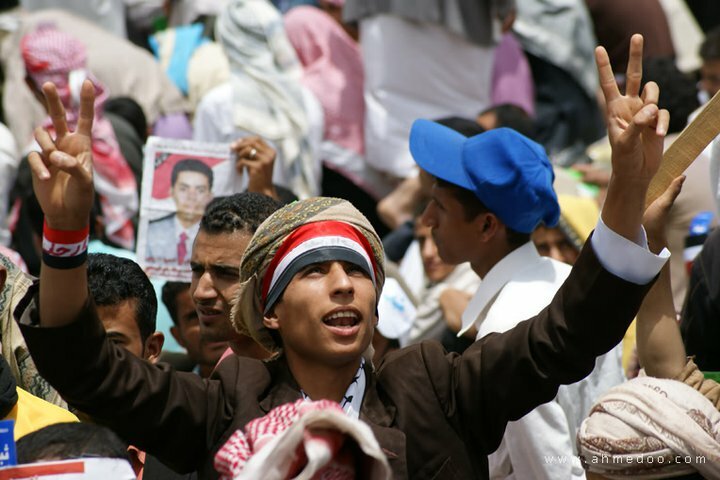 (CNN) -- While Afrah Nasser, a 25-year-old Yemeni journalist, has been reporting on the protests sweeping her country over the past two months, one thing has surprised her more than anything else: the lack of tribal infighting. She has been amazed to see people from different tribes protesting side by side with a common purpose of forcing the resignation of President Ali Abdullah Saleh, who has been in power since 1978. Nasser, the only female journalist on the Yemen Observer, said: "Tribes who have long-term revenge issues are coming to the protests peacefully and united. "They are living in harmony with one voice and in agreement that they want Saleh out." More than 100 people have been killed in violent clashes between pro- and anti-government demonstrators and security forces in recent weeks, according to estimates by Amnesty International. The six-nation Gulf Cooperation Council is trying to find a way to resolve the crisis, and the United Nations Security Council was unable to agree a joint statement when it met on Tuesday. 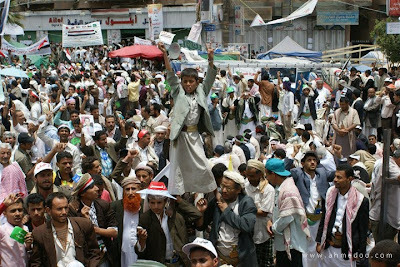 Yemen is the poorest country in the Middle East and tribal loyalties often trump national identity. In February, leaders of two prominent tribal groups, the Hashid-dominated National Solidarity Council and the Baqil tribe, said they would send members to join the protests calling for Saleh's resignation. Saleh is himself a member of the Hashid tribe. Nasser Arrabyee, a Yemeni journalist for the Dubai-based Gulf Times and the Egypt-based Al Ahram, said: "The tribal leaders are the key players in society. Politicians in the ruling party are not as influential as the tribal leaders. "A lot of the most influential tribal leaders have now declared their support for the opposition. However, Saleh still has the support of some people from all the tribes." The tribal system is strongest in the north, where there are three main tribal groups -- Hashid, Baqil and Madhaj -- with many smaller tribes within them, Arrabyee said. He added: "Over history, Hashid and Baqil are often described as the 'wings of the ruler.' 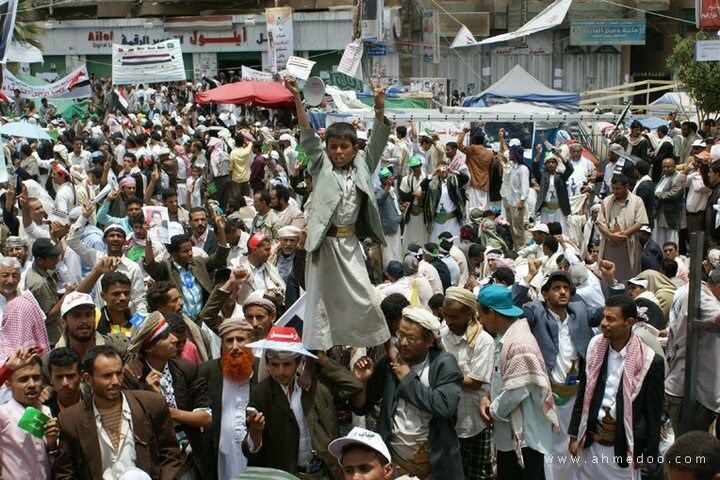 Yemen has no good institutions and no rule of law, so tribal leaders are the real government." Nasser added: "There are too many tribal leaders and each leader has their own supporters from the same village or area. These tribal leaders are usually older, wealthier people with influence over the younger members of their tribe." Gabriele vom Bruck, a senior lecturer in Middle Eastern social anthropology at the University of London's School of Oriental and African Studies, said: "The tribal system, at least in the north, has remained very entrenched and some tribes are quite independent of the government, with their own legal systems. "It's less so in the south, where the tribal system was partly dismantled by British colonial rule." Against this background, the tribal unity observed by Nasser during the protests could represent a dramatic shift. Nasser said: "One thing that makes me optimistic is people are showing a new civilization and acting peacefully in the face of violence by the security forces. "In normal circumstances, if a guy is killed, members of his tribe or family will go after whoever killed him for revenge. "But in these days, family members are not fighting back, they are remaining peaceful and taking it as a sacrifice. It's a new experience for Yemen and it's really remarkable." Bruck was more cautious on whether the bridges formed between tribes would last beyond the protests. She said: "My worry is that the opposition's only common demand is that they want Saleh to go, but beyond that they have very little in common. Once Saleh goes there could be a return to the infighting." Another key issue for the future of Yemen will be whether al-Qaida can be kept at bay. Arrabyee said: "Yemen will become a better place if we can establish a modern secular state that will respect freedoms and rights. sympathizers who are hungry and see corruption, poverty and unemployment everywhere." 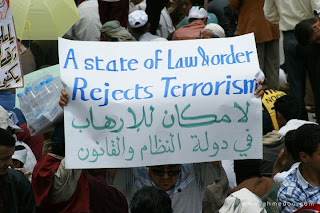 However, Nasser said: "I believe the issue of al-Qaida is propaganda. If there's a violent act it's because of frustration. If you take a teenager with no education or prospects, he will be prey to anybody to buy him and tell him to do violent acts. "The only bad thing is bad government causing a bad situation that leads people to be frustrated. "We need democracy and for everyone to have their rights and equal opportunities."